The primary function of a utility boiler is to convert water into steam to be used by a steam turbine/ generator in producing electricity. The boiler consists of a furnace, where air and fuel are combined and burned to produce combustion gases, and a feedwater tube system, the contents of which are heated by these gases. The tubes are connected to the steam drum, where the generated water vapor is drawn. 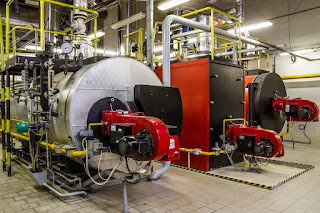 In larger utility boilers, if superheated steam (low vapor saturation) is to be generated, the steam through the drum is passed through superheated tubes, which are also exposed to combustion gases. Boiler drum pressures can reach 2800 psi with temperatures over 680°F. Small to intermediate size boilers can reach drum pressures between 800 and 900 psi at temperatures of only 520°F if superheated steam is desired. Small to intermediate size boilers are only being considered for this application note. 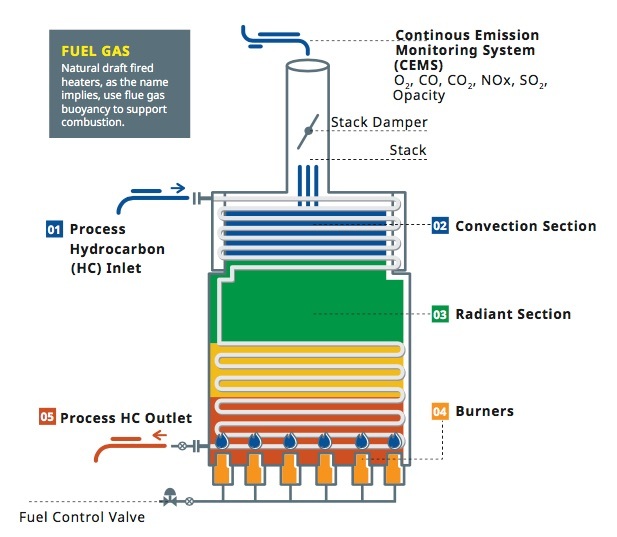 With oil‐burning and gas‐burning boiler efficiencies over 90%, power plants are examining all associated processes and controls for efficiency improvements. Between 1 and 3% of the gross work produced by a boiler is used to pump feedwater. One method of improving overall efficiency is by controlling feedwater pump speed to save on pump power. Read the entire document below. Contact Flow-Tech with any questions regarding boiler optimization. In Maryland call 410-666-3200. In Virginia call 804-752-3450. Boiler Optimization Toolkit from Flow-Tech, Inc. Check out our new Flow-Tech marketing video below. Hope you enjoy. Yokogawa, globally recognized leader in a number of process control fields, has authored an e-book which provides useful insight into how operators of combustion based equipment and systems can improve efficiency and enhance safety by employing modern technology. The Yokogawa e-book Combustion & Fired Heater Optimization offers "an analytical approach to improving safe & efficient operations" related to the use of combustion & fired heaters in the process industries. Through presenting an overview of combustion sources, such as furnaces and fired heaters, the book states that while "fired heaters pose a series of problems from safety risks to poor energy efficiency," those problems "represent an opportunity for improved safety, control, energy efficiency and environmental compliance." Fired heaters "account for 37% of the U.S. manufacturing energy end use." Tunable Diode Laser Spectrometer (TDLS) technology helps mitigate safety concerns by "measuring average gas concentrations across the high temperature radiant sections." The book states that the four main concerns applicable to fired heaters are asset sustainability, inefficient operations, the operator skillset, and safety and compliance. Outdated diagnostics and controls have placed unnecessary stress on operator response, making sustainability of fired heaters difficult. The emissions of fired heaters are generally higher than designed, and can be coupled with control schemes for firing rates little changed over the past 40 years. Operators, generally, lack a clear understanding of design, and even engineering principles of heat transfer are not typically included in education related to fired heaters. Confounding the situation further, "many natural draft heaters do not meet this [safety regulation] guideline with existing instrumentation and control systems." 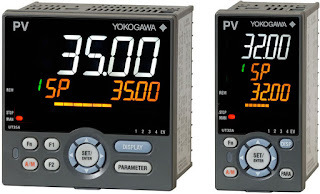 These complications combine to form a noticeable problem Yokogawa's technology hopes to address. The company notes how the fired heater relies on natural draft instead of forced air, meaning the heaters "typically lack the degree of automation applied to other process units in the plant." Offering a full detail of both the control state of most fired heaters and their systems defines the process situation currently considered common in the field, while emphasizing high excess air as providing a "false sense of safety." The proposed TDLS system allows for the measurement of "both the upper and lower conditions in a fired heater" by "simultaneously controlling the fuel and air supply based on fast sample intervals." Safer burner monitoring and heater efficiency results from the TDLS measurements of CO, CH4, and O2. The optimization of air flow control reduces "O2 concentration … from 6% to 2%" and increases the furnace's thermal efficiency. Combustion control is achieved by managing fuel flow and the arch draft. The TDLS integrated system works in tandem with already established logic solver systems in the plant. The TDLS technology works as a non-contacting measurement with "full diagnostic capability" and offers "distinct advantages over single point in situ analyzers" via reduction of false readings. Specific gas measurements, fast response time, optical measurement technology, and "high and variable light obstruction" are featured components of the TDLS system highlighted to show the technology's durability and flexibility. The longevity and reliability of the system is showcased by how the TDLS combustion management system has been operational in a major refinery since 2010. The percentage of excess O2 in sample fired heaters has decreased by 1% to 1.5%. Measurements by the TDLS system have been verified by other gas analyzers. The furnace conditions in the plant are more efficiently monitored and controlled. As a result, the furnace in the functional environment is "now near its optimum operating point, using minimum excess air." Yokogawa presents a process-related problem, then details the key points of the problem while unpacking the causes. The e-book introduces Yokogawa's technology, explains the mechanics, and demonstrates how TDLS acts as a solution to the problem, supported by a tangible example. The book offers great insight for both the operational principles of fired heaters and a new technology designed to maximize efficiency in the control process. The e-book can be downloaded here. More detail is available from product application specialists, with whom you should share your combustion and fired heater related challenges. Combining your own facilities and process knowledge and experience with their product application expertise will lead to effective solutions.